The Harlequin 1400BFS Bunded Biodiesel Fuel Station is the ‘ready to go’ biodiesel dispensing and storage solution from Harlequin. The Harlequin 2500BFS Bunded Biodiesel Fuel Station is the ‘ready to go’ Biodiesel dispensing and storage solution from RPM Fuels & Tanks. 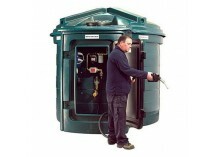 Made from a specialist grade of biodiesel resistant Medium Density Polyethylene the Harlequin 5000BFS Biodiesel Fuel Station diesel tank is strong and durable. The Harlequin 10000BFS is the largest capacity plastic bunded biodiesel Fuel Station available through RPM Fuels and Tanks. 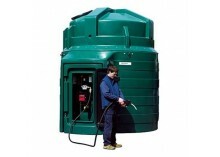 A range of Bunded Biodiesel Fuel Stations from RPM Fuels & Tanks with integral biodiesel transfer pumps engineered to exceed the most demanding of fuel storage requirements. The Harlequin BioDiesel Fuel Station Bunded BioDiesel Tanks are quality bunded BioDiesel storage and dispensing tanks suitable for the storage of diesel and biodiesel fuels to B100. These Biodiesel Fuel Stations are moulded from specialist grade biodiesel resistant materials and supplied with a wide range of equipment including a 240 volt biodiesel transfer pump, oil tank contents gauge, fuel delivery hose, auto shut off biodiesel nozzle and a flow meter. Harlequin BioDiesel Fuel Stations are designed for BioDiesel content up to 100%. Harlequin Bunded Biodiesel Fuel Stations exceed all applicable UK and EU fuel storage regulations and offer an affordable and durable storage solution and prices quoted include delivery to anywhere within the mainland UK. 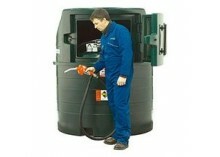 We at RPM fuels have a great range of different Bunded BioDiesel Storage Tanks that is available at the best prices. Have a look through our extensive range and contact us on 01473 787787 for a quick quote or order online through our website. Is there a difference between the types of tanks? 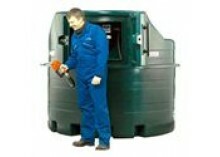 Yes, there are lots of differences between the types of oil storage tanks and these are also available in a variety of sizes.